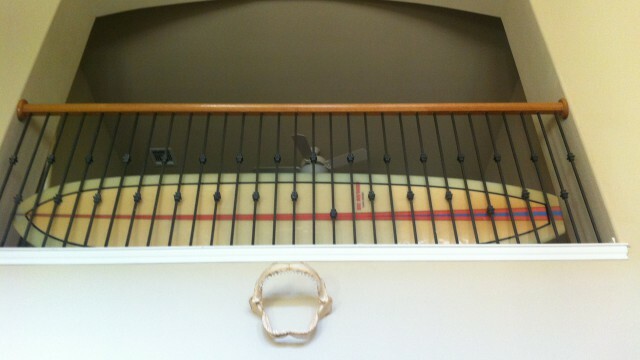 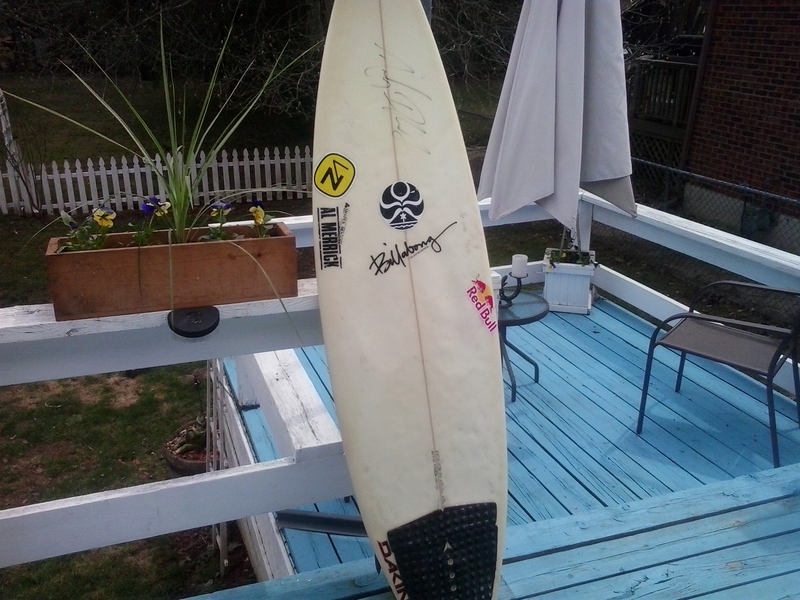 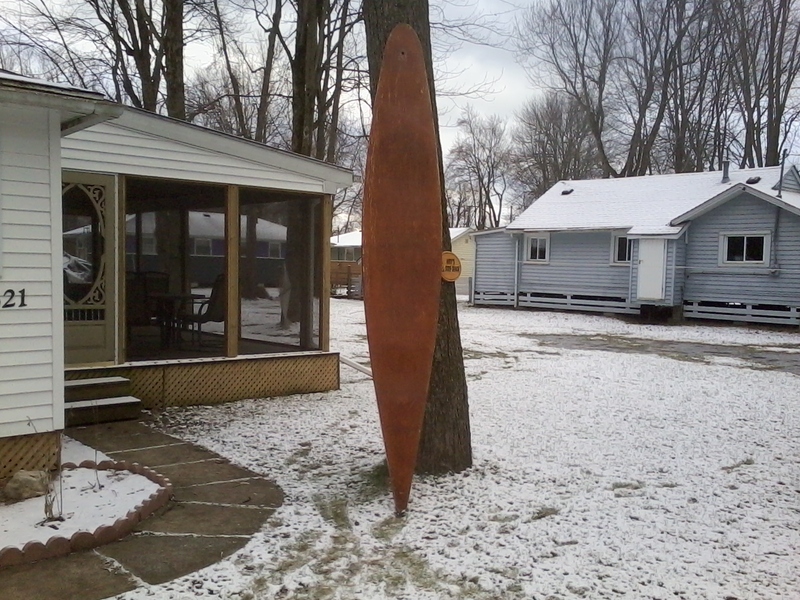 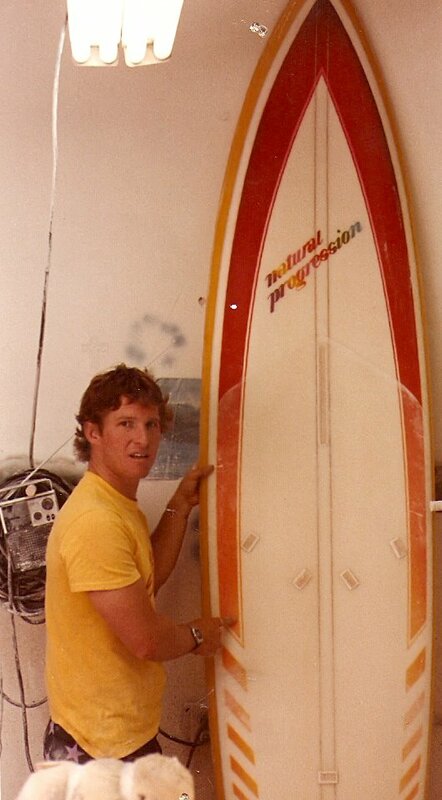 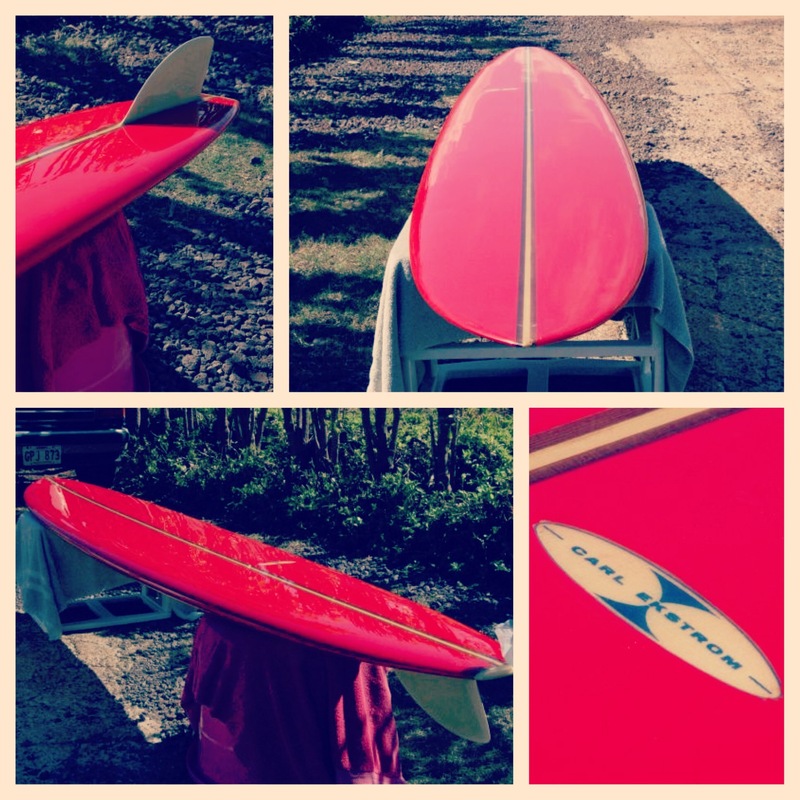 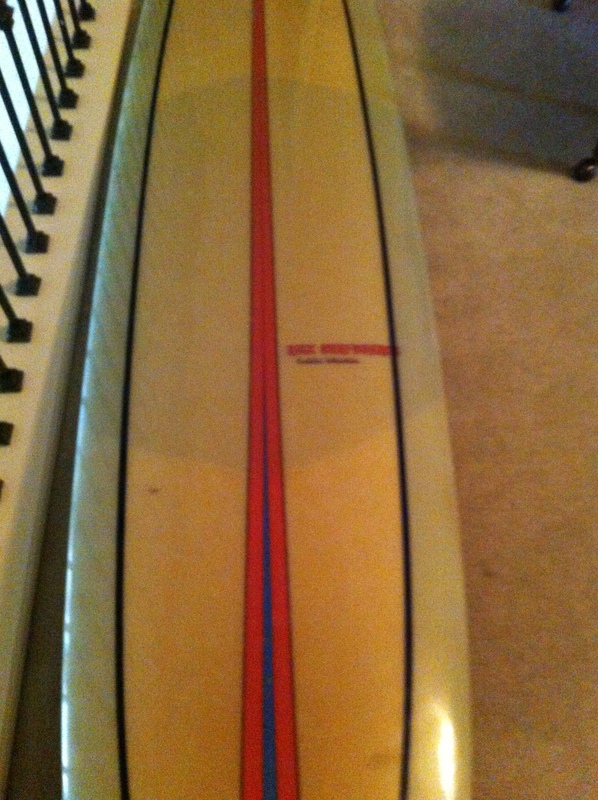 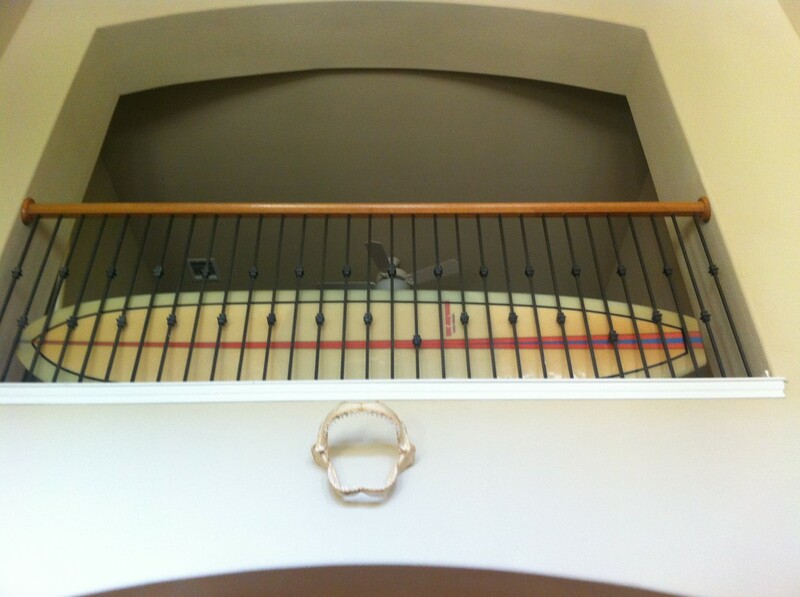 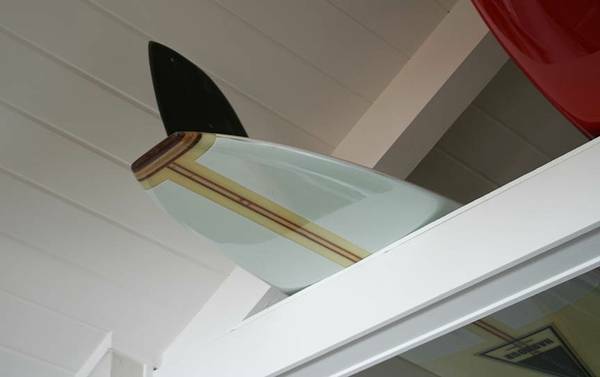 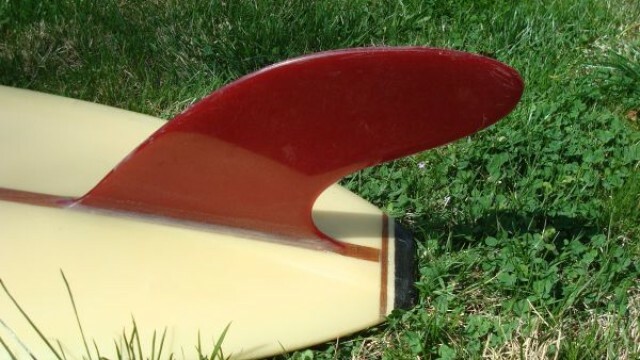 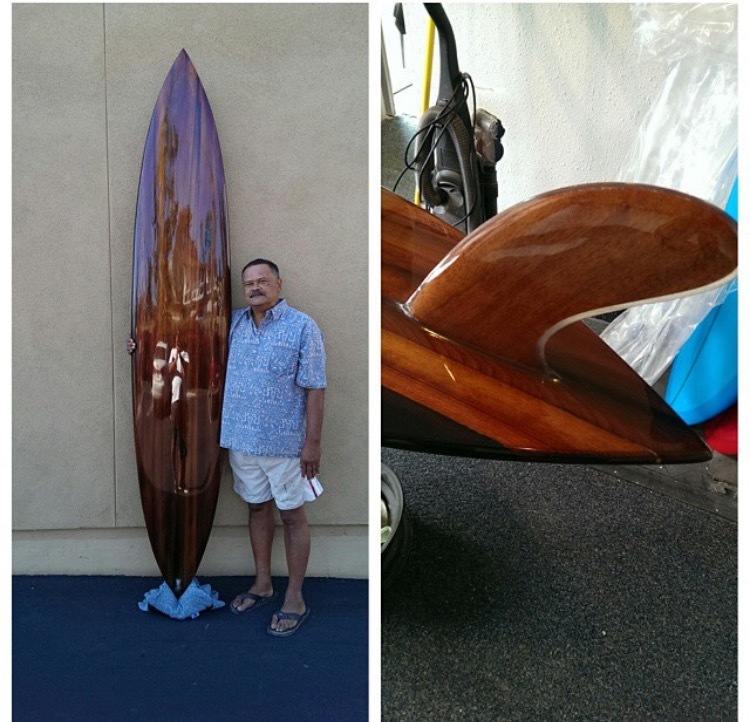 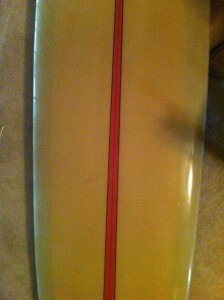 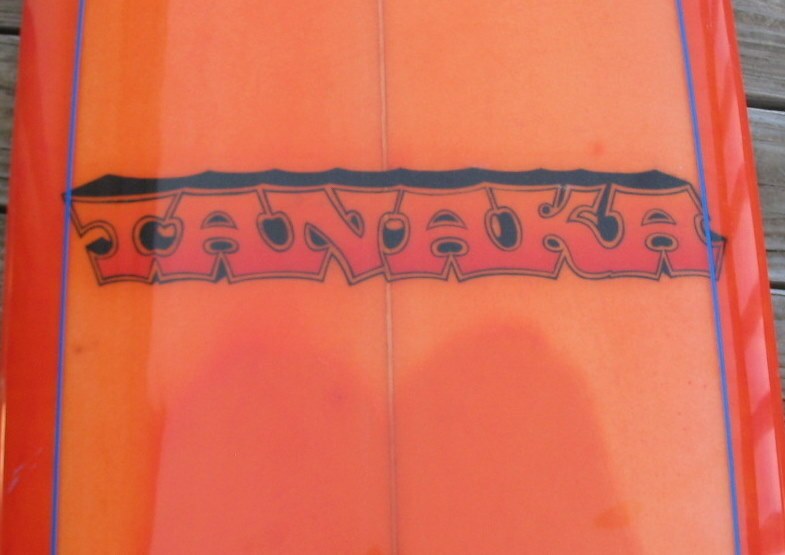 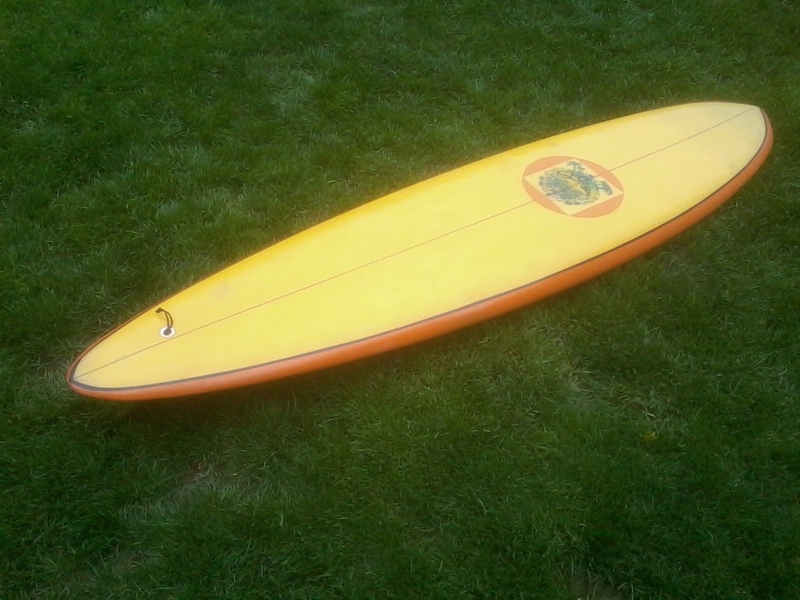 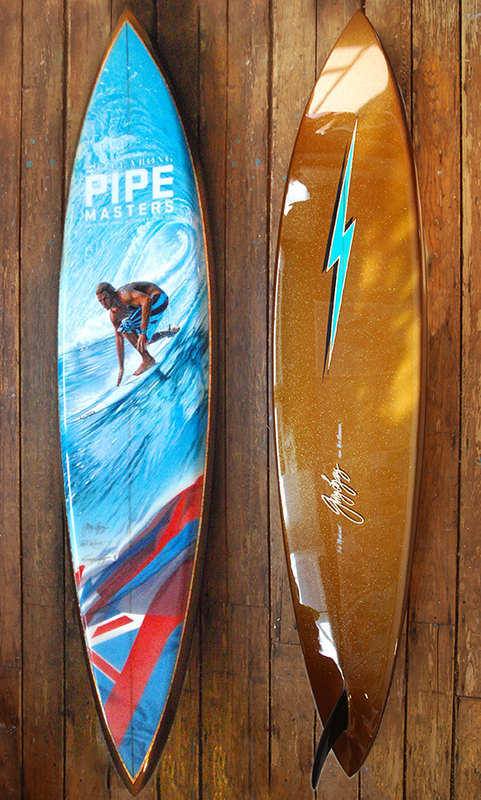 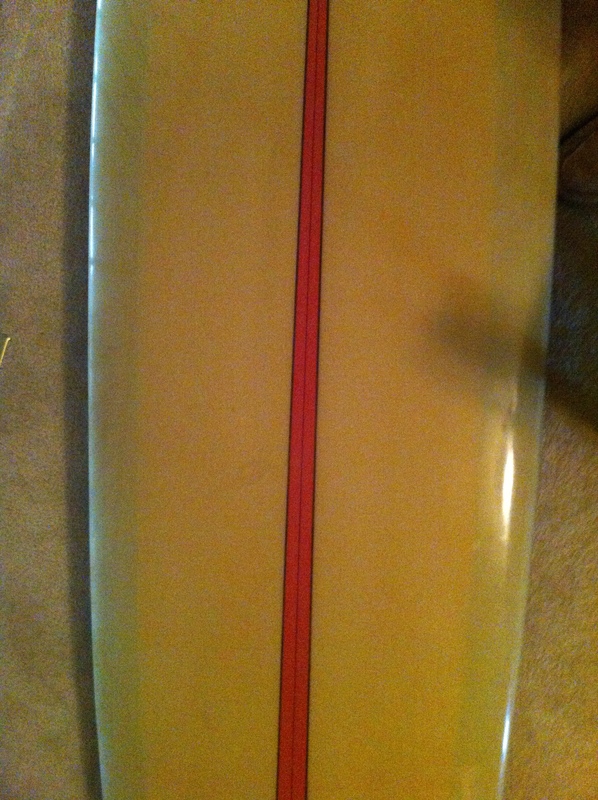 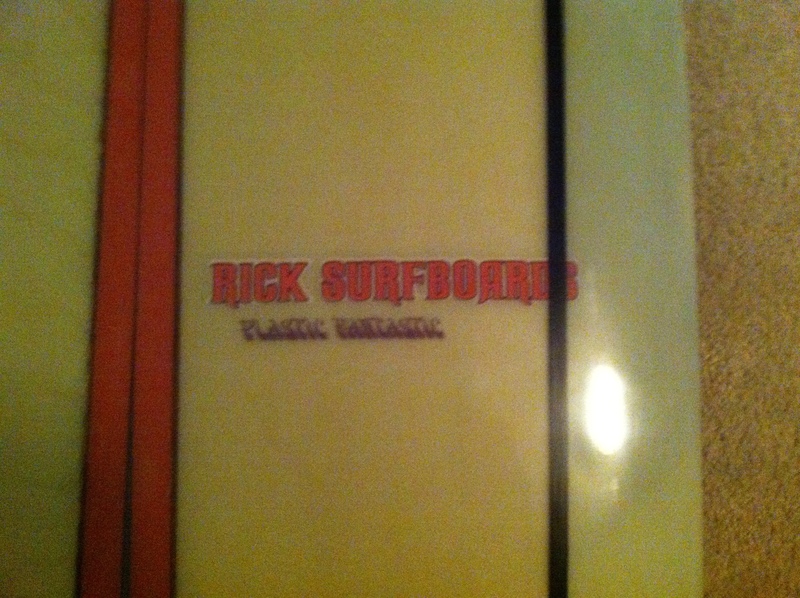 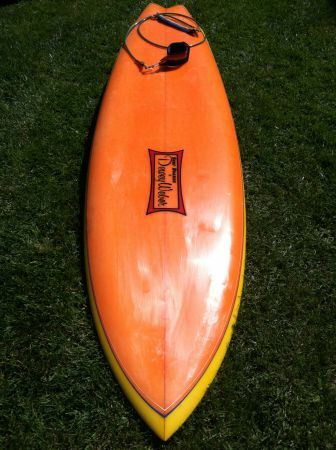 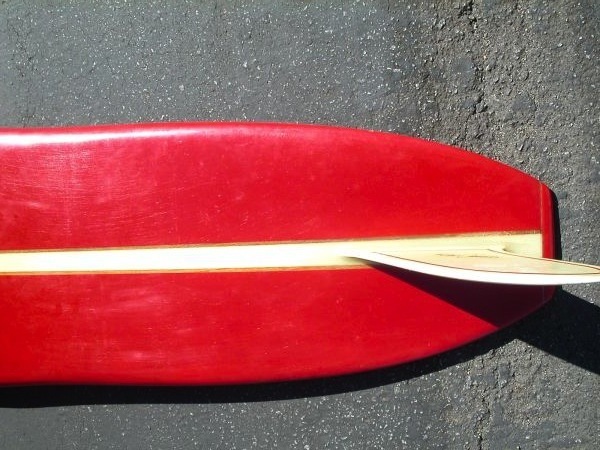 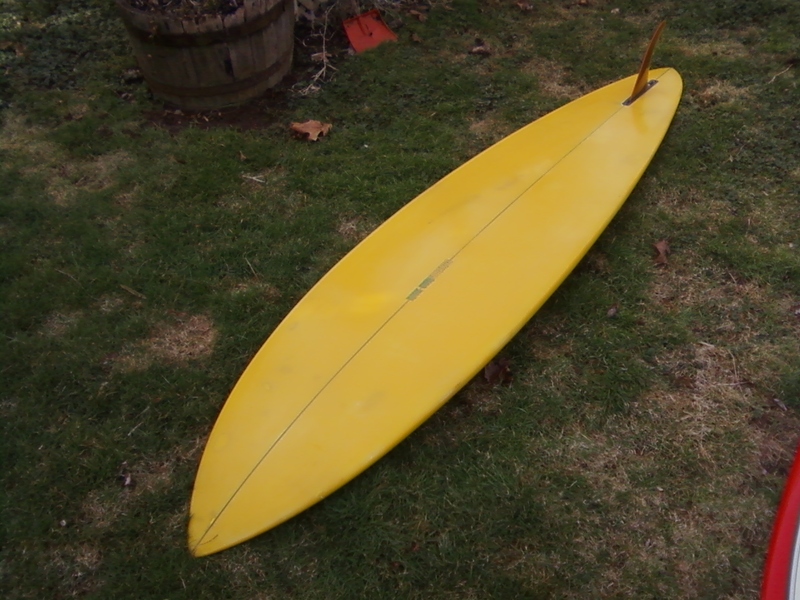 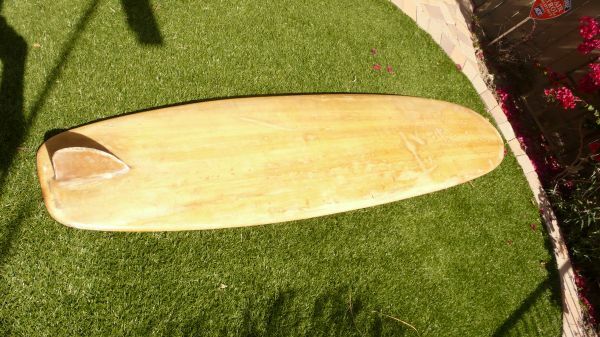 Description: 9’6” 1967 Rick Plastic Fantastic. 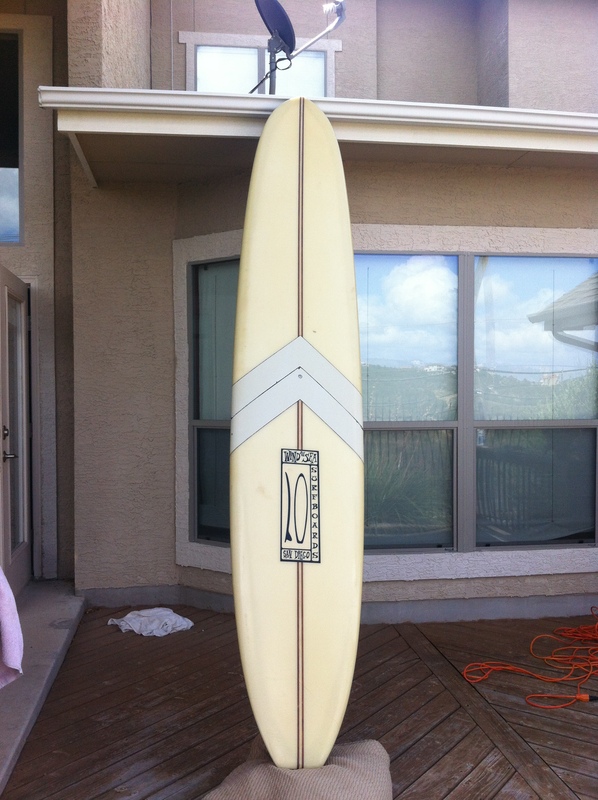 Sea foam green to the lap line white deck with a triple color flared foam stringer. 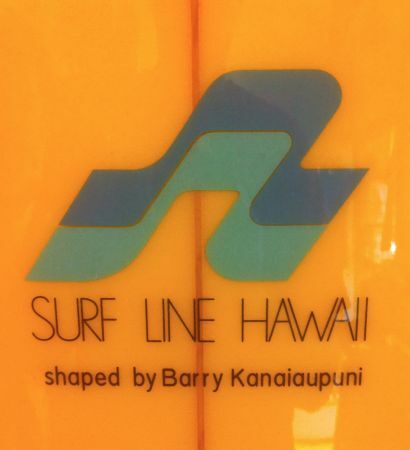 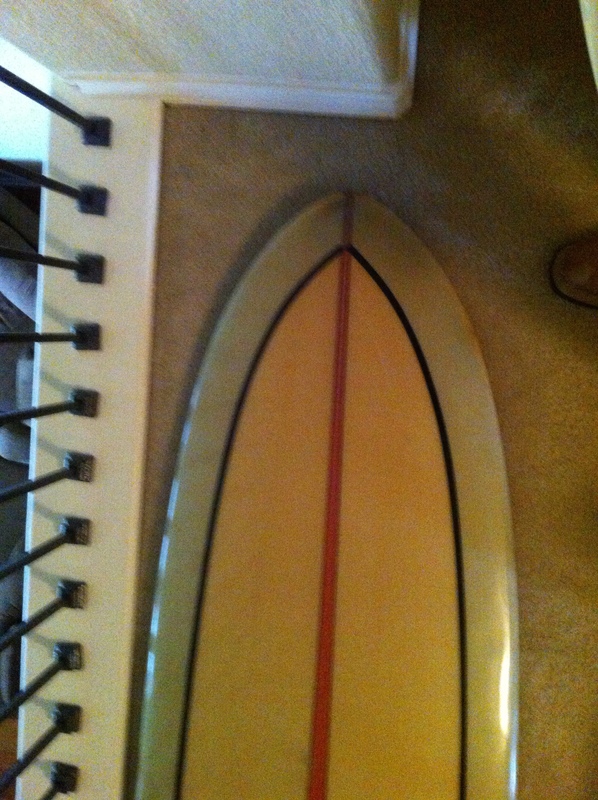 (It has a replacement fin. 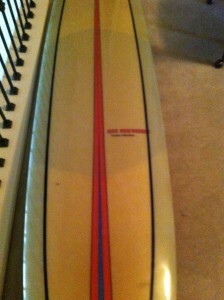 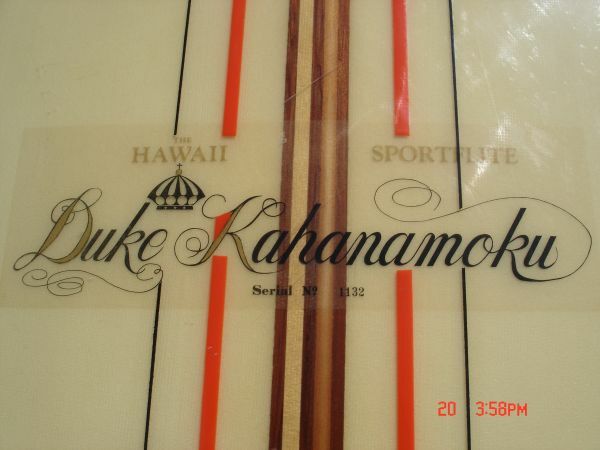 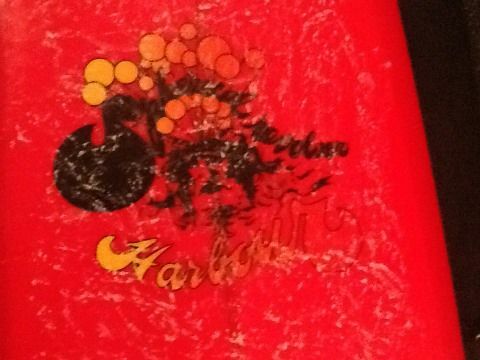 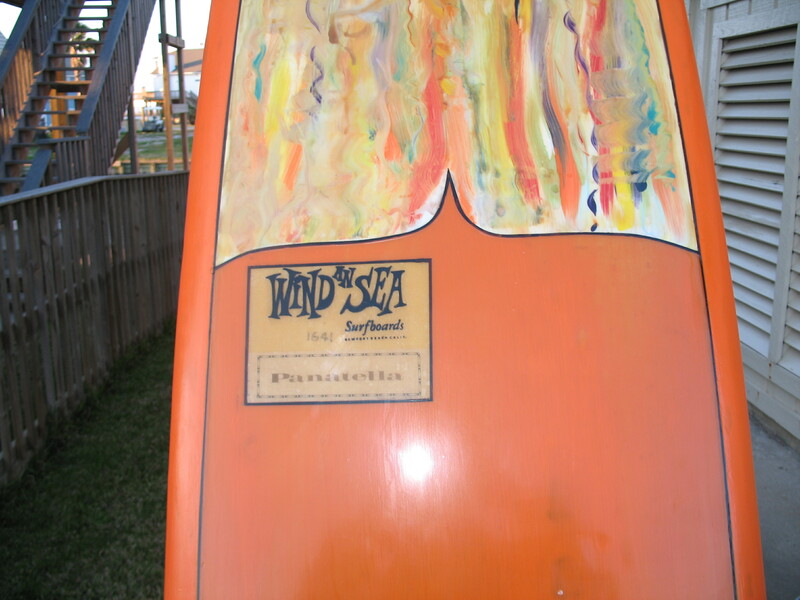 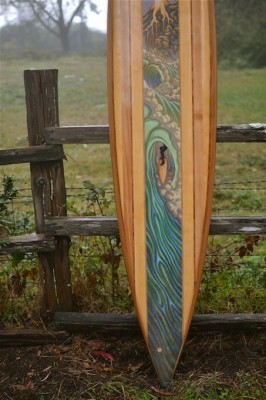 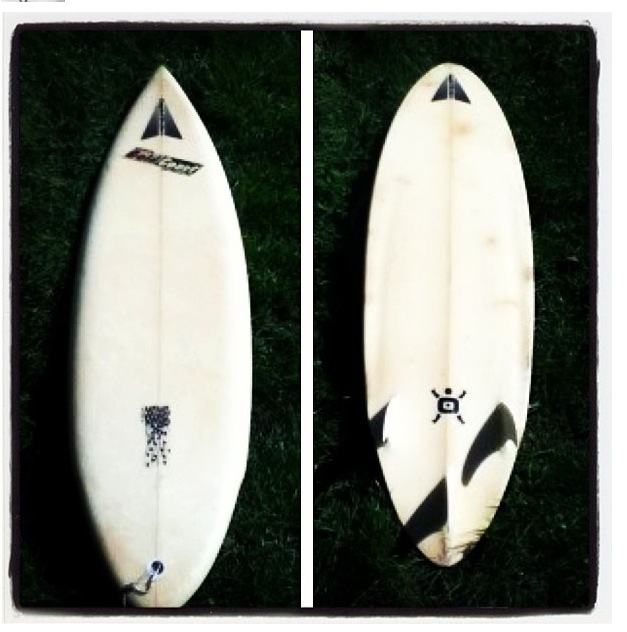 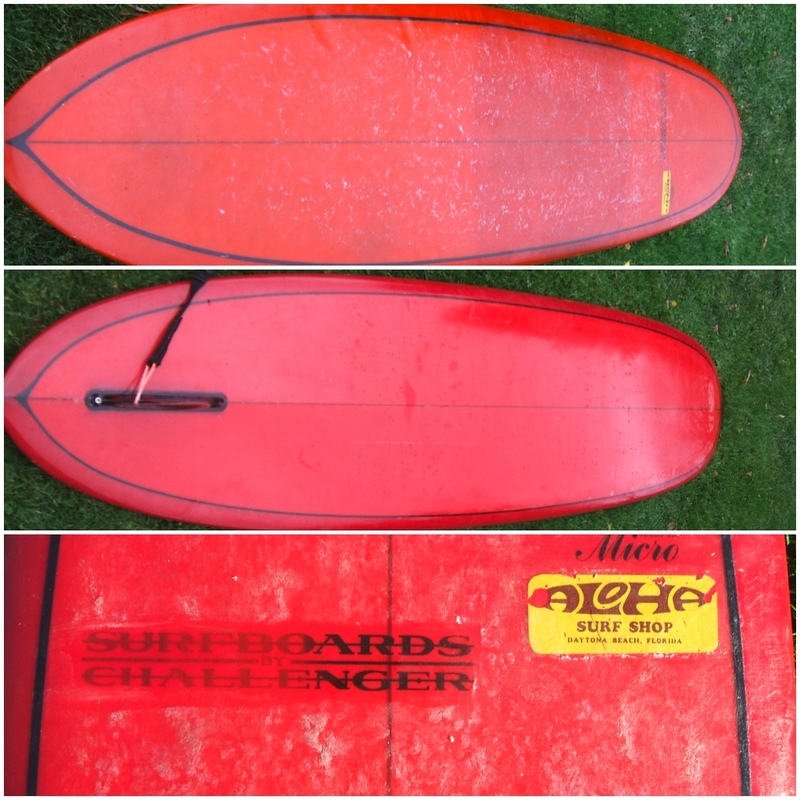 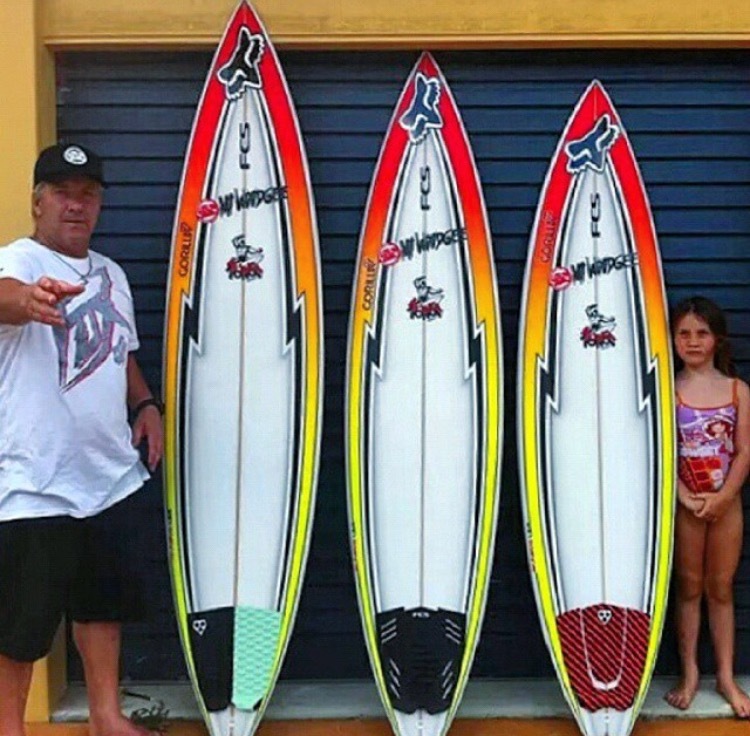 It is glassed in but could be routed out and an original waveset box) Condition 8.5 $1800.